With a little help from his friend Tails and his own lighting-quick reflexes, the real Sonic can run faster than the speed of sound. 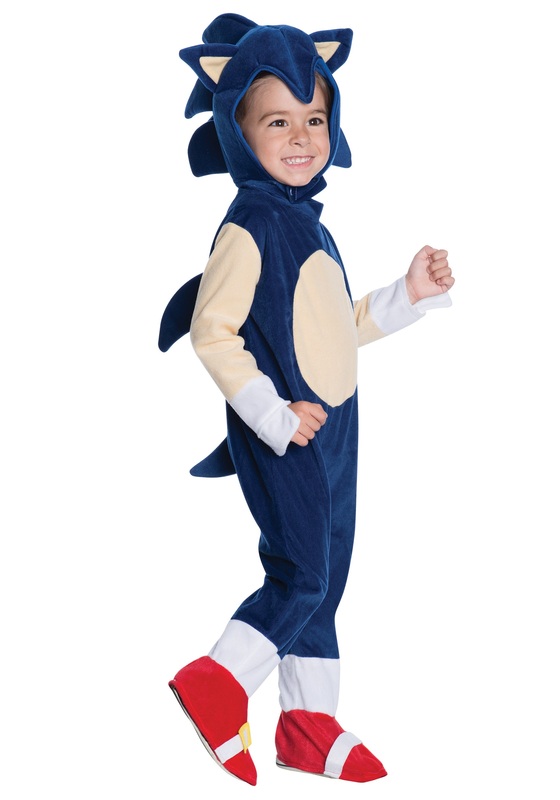 We can't promise those sorts of results when your child suits up in this this Sonic the Hedgehog Romper. But he can curl up in a tight ball for defense. He can search for Chaos Emeralds. Maybe he can even become Super Sonic! We know for a fact his soundtrack will be all futuristic and techno-y, his graphics will be vibrant and poppin', and his boss battles will be some of the most exciting of all in platforming game history! ...What's that? Ohh, yeah, the romper. Our bad. We got one look and just felt so nostalgic. Well, this Sonic the Hedgehog Romper is officially licensed, so you know it's as stellar as the games, with a Velcro enclosure for quick character changes and a poly-foam filling in the headpiece to help emulate your little one's hedgehog shape. Get it quick; this one's hard to get your hands on! I would say that the product actually runs a little on the small side. Very soft. Not the true blue of Sonic but decent quality. Gap between headpiece and romper piece. Probably wouldn’t buy again. My son still loves it.